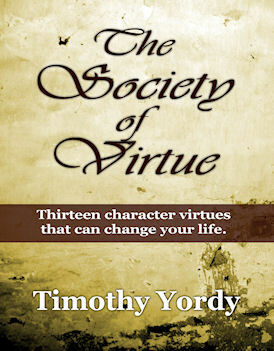 Just wanted to give everyone a quick heads up that I am currently offering a coupon for 50% off of my book The Society of Virtue over at Smashwords.com. The coupon code is SSW50 and it’s valid until July 31st, 2012. So if you haven’t grabbed a copy yet, now is the time to do it! I appreciate everyone’s support. I’ve also been considering writing a follow up to the book since before I even published The Society of Virtue. I don’t want to do it just for the sake of putting out another book though and I want to make sure I have a really solid concept and vision of what the book will be before embarking on the journey of writing it. There are other books I’m working on however and as time and diligence permits, I will have those finished and published soon enough. But all of that is beside the point. Go grab a copy of The Society of Virtue today for half off! Buy it at Smashwords.com Remember to enter the coupon code SSW50 at checkout. As I alluded to in my previous post, I have some exciting news that I would like to share. A few weeks ago I finished up work on my first book! Its entitled The Society of Virtue: Thirteen Character Virtues That Can Change Your Life. I worked on it over the past couple of years in between other projects but when 2012 began I knew that it was time to make The Society of Virtue a priority and finally get it finished. The book is inspired by Benjamin Franklin’s list of thirteen character virtues that he had devised and had intended to create a secret society based on. Franklin never did get the chance to create his secret society but his ideas live on. The Society of Virtue is an original work that pays tribute to Franklin’s ideas and carries on the spirit of them with improved personal character through adherence to thirteen virtues. As a special bonus for people who buy The Society of Virtue I’ve included in the book a special password that will grant access to a members only area of The Society of Virtue website. Once there, readers can enjoy downloading a variety of special bonus content. I hope that you will consider buying a copy of The Society of Virtue. Not simply because I want it to be successful from a sales point of view, but also because I believe there can be real benefit to in the lives of those who choose to follow through with the pursuit of the virtues. I’m just a few weeks late with my New Year post but I’m sure you’ll forgive that compared to the six months that have gone by since I posted anything new on here. My last post way back in July mentioned that I was going to be moving and that move finally happened in late September. It’s amazing how long it can take to find a house and then you’ve essentially got another month’s worth of waiting while all of the other paperwork is taken care of. But we finally did move in September and the ensuing months have been kind of crazy with getting settled in and then leading into the holidays after that. Life is getting back to normal though and that’s where today’s post finds me. I generally come up with some kind of theme for my life for every new year. Sometimes I post that theme publicly and sometimes not. Most times I don’t know what that theme means until something happens through the course of the year that makes it plain to see. 2012 is a little different though. I knew what my theme for the year was going to be back in November some time. Unlike previous years, it’s not some vague nebulous concept that could be fulfilled in any number of ways. No, this year’s theme is direct and challenging to myself. This year’s theme is The Year of Accomplishment. What that means to me is finishing up writing projects that have been hanging around for awhile. It means recording a new music album for the first time in over five years. I debated for awhile whether or not to publicly share this year’s theme for myself because it’s very goal oriented and relies on my working very hard to achieve those goals. But in the end I decided that not sharing it would make it easier on myself to not follow through. Of course, random life events or God’s intervention might completely derail these plans but I’ve found that most often in life if I don’t accomplish something it’s because I didn’t really put the effort into it that it needed. As 2012 unfolds I hope to be able to share many completed creative projects with you. There’s at least one that I will be sharing on here in the next couple weeks. I was working hard to start the year off right by finishing up a writing project and that’s part of why this post didn’t happen sooner. Stay tuned.